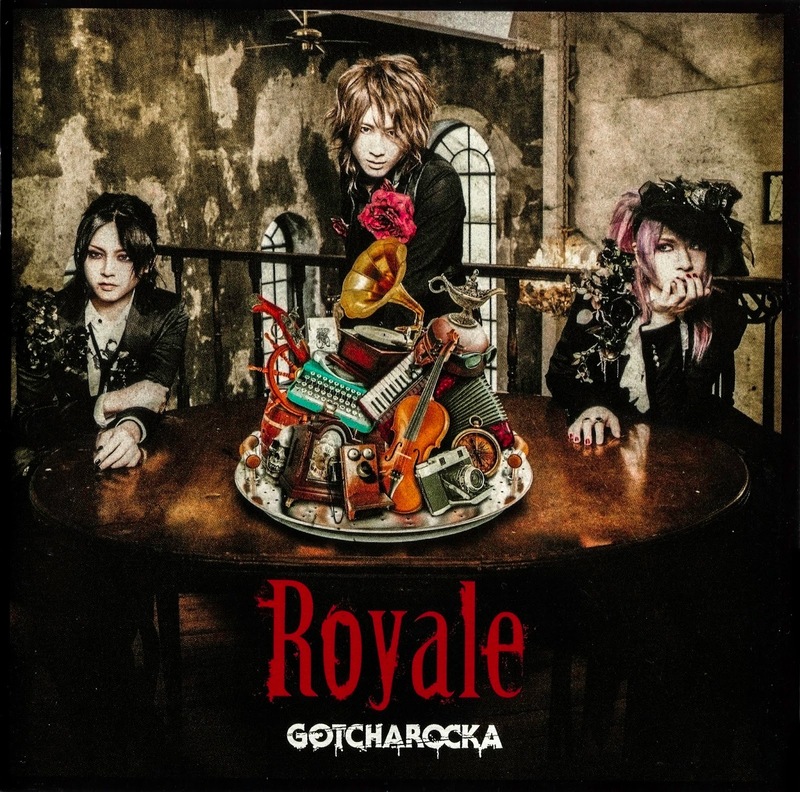 GOTCHAROCKA's album release, "Royale", is a must-listen. The band exhibits a lot of maturity since their last full release including songs that range is style and composition. Note: The following review may be biased since the band is my favorite vk group. I will try to be as neutral as possible, though. 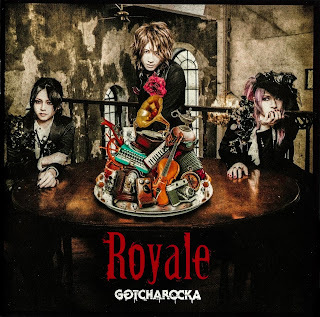 Despite the loss of their bassist in early 2014, GOTCHAROCKA has pressed on as a three-member band and arrived at their second full album "Royale." Since several past singles have been included in this release, I will be focusing more on the new tracks. 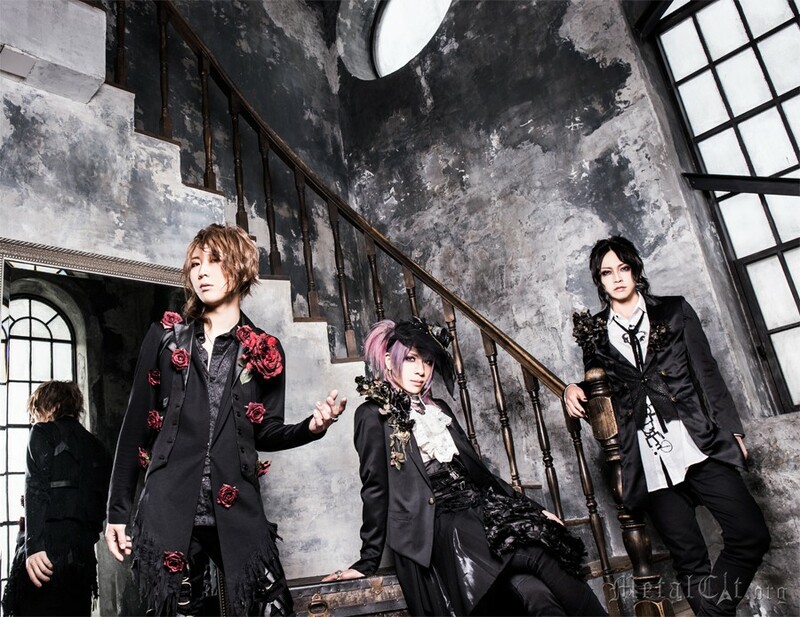 Some of my biggest praises for GOTCHAROCKA is their use of background vocals and melodic guitar parts. Oftentimes, bands spend a lot of time strumming at their guitars, which is fine, but it makes the song harder to get into. Gt. Jun's arrangement with the songs throughout the album are heavy in their melody. If Jui isn't singing, the guitar is. This consistency gives each song its own distinguishable personality and style. "S or M" is the first new track on the album. This is one of the more generic songs on the release. As I mentioned before, the song goes between Jui singing in the choruses, exchanging call and response with guitarists and the expected guitar melody. The song is pleasant to listen to, however, it's not necessarily anything special. "Kyousou Royale" is the next new track on the album. For those who haven't seen the PV for the song, this is probably the best track on the entire album. There is another one that could easily compete for this position, but I will discuss it later. "Kyousou Royale" has such a unique atmosphere to it. The opening to the song alone is completely different from anything that I have heard recently. What probably adds the most to the song is string accompaniment. In the end, the song is simply a fun song to listen to that makes you want to jump up and dance along. "TAROT" also has a very unique opening. The band nails the mystique sound with the instruments. Continuing into the song, the chorus was a letdown for me. If you saw my review on DOG inThe PWO, I made the comment that I dislike autotune, especially if the vocalist has a really nice, natural voice. The song would have been just fine without it, but I couldn't help but think of Souiumono's "UN-DEADHOUSE" release. I'll be skipping "SNAKE CHANNEL" and "Akai Eki" in this review. However, both songs are both good. The first one is a jazzier song that actually does make you think of a snake channel when you listen to it. "Akai Eki" is another upbeat song that effectively manipulates staccato. "Starry Eyes" is the front runner to "Kyousou Royale" on this album. If you've listened to "Crisis", GOTCHAROCKA's first album, you may remember that the tenth track was "The Lyrical Jet Sky". This song was a beautiful arrangement of Jui and Jun singing a call-and-response style. Well guess what? The band is back at it with another similar. The song enters into its fast paced intro. There's no mistaking that this song is intended to follow up to the success of its predecessor on the previous album. The song is harder, more energetic and more fun to listen to. The last song I'll be discussing in this review is "Happy". Oftentimes I feel like the slower paced songs are overlooked. However, GOTCHAROCKA knows how to play a slow song and hold your attention. "Happy" is a sweet sounding song with a really nice piano accompaniment in 6/8 time. The emotion is packed in this song. It's hard to tell if you want to smile or cry during the chorus and when Jun comes in with those two notes on background vocals, you just get goosebumps. Overall, the album was a complete success tapping into the strengths of each member. They don't hold back. I am a little disappointed that they included so many past singles. I suppose it was to be expected, but "Alarm" and "Emotion" were some of my lesser favorites by the band. I've seen comments that say that the band is leaning more toward's Jui's days in Vidoll, but the songs seemed quite generic to me in comparison to what they obviously displayed on the rest of the album.